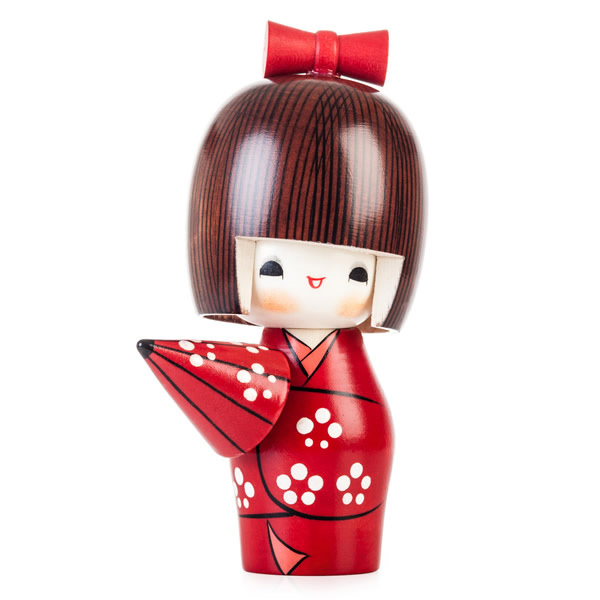 Weather the weather – whatever the weather – with the Sunny Weather Happy Girl Kokeshi Doll. 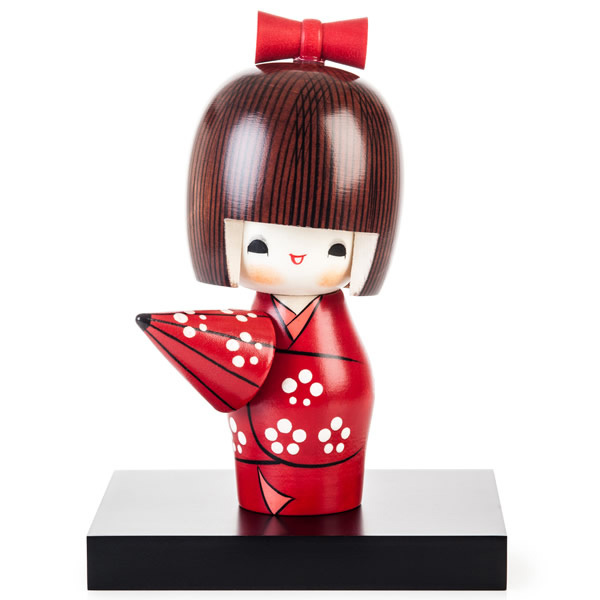 Featuring a scarlet floral overcoat and matching umbrella, this cheery soul looks ready to face any storm that might come her way. The perfect gift for visitors to the UK(! 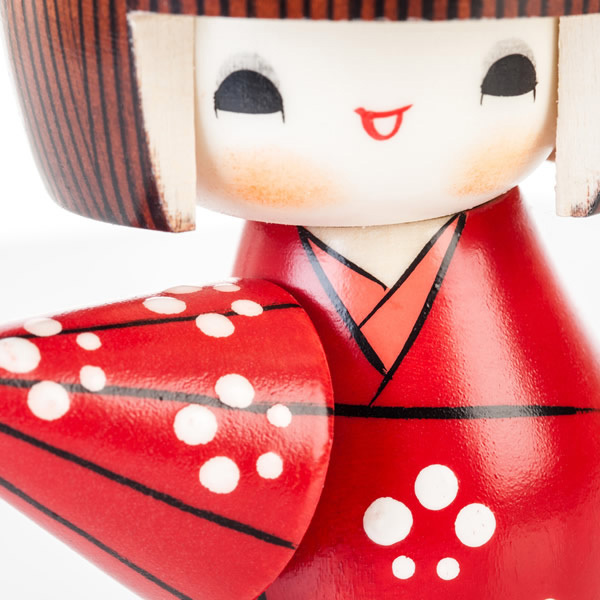 ), the Sunny Weather Happy Girl Kokeshi Doll looks even more stunning when stood on a medium size wooden display base, available to purchase separately. 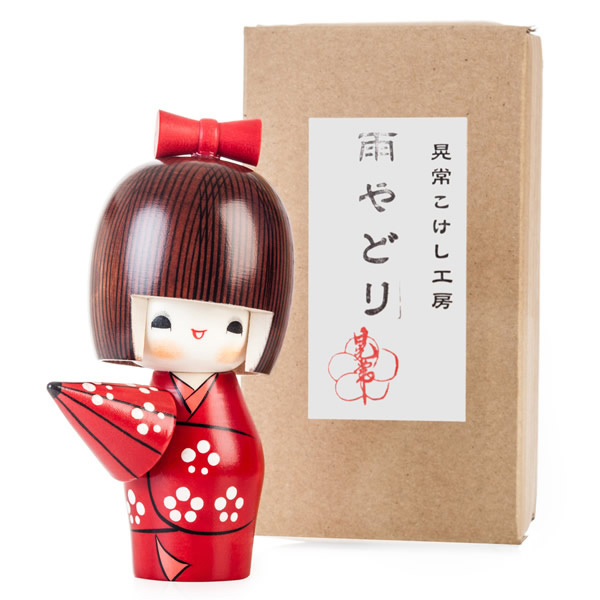 Add the Sunny Weather Happy Girl Kokeshi Doll to your basket and don’t forget our FREE gift wrapping service, or visit our showroom for more distinctive Japanese gifts.